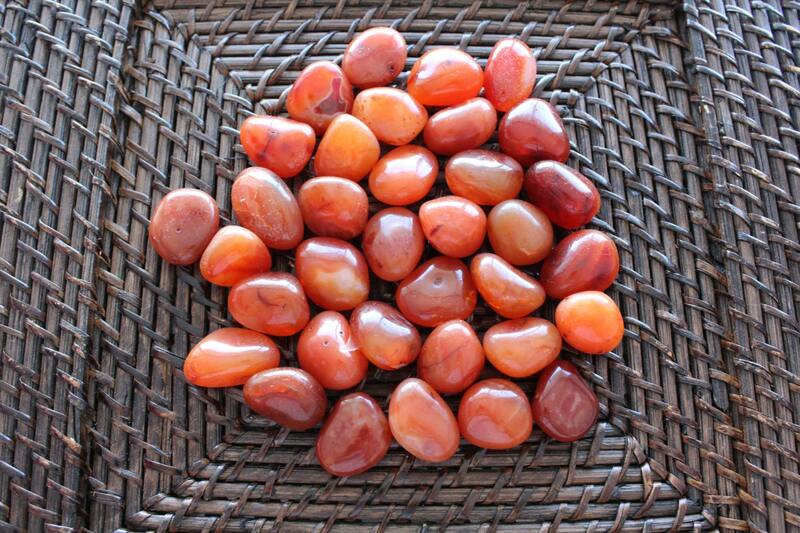 These beautiful Carnelian Crystal tumbled stones are hand-polished using 100% natural crystals. 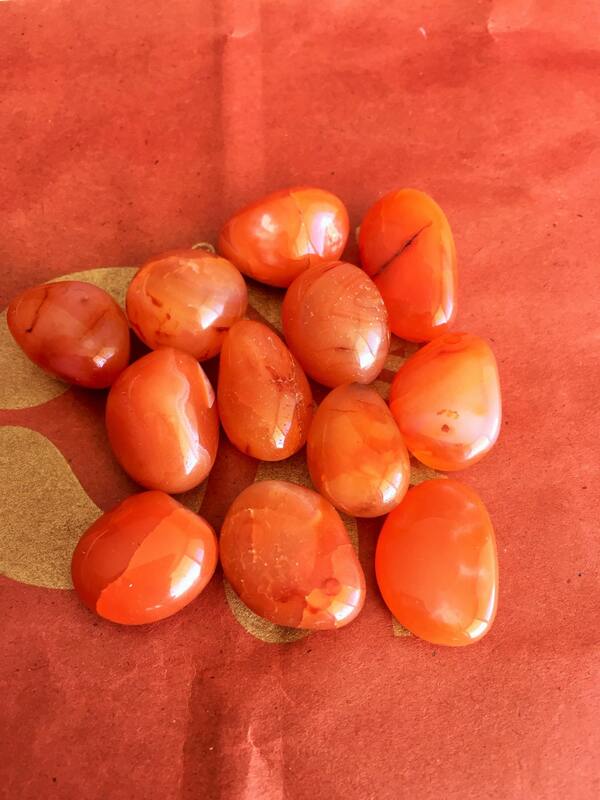 Carnelian is a stabilizing stone with high energy. It is believe to promote vitality and motivation. In ancient Egyptian days Carnelian was worn on the hand to still jealousy, envy, anger and hatred. It is used still today to promote peace and harmony while dispelling depression. 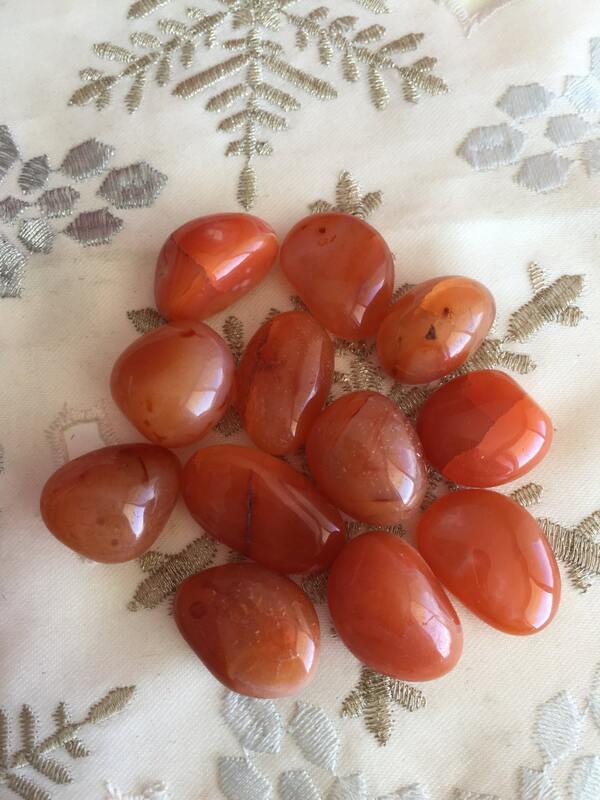 You will receive 10 Carnelian Crystal tumbled gemstones. The crystal came in sooner than expected. Cindy placed the crystal in its own box to separate it from the other two crystals I purchased. This carnelian crystal is prettier in person that in the picture. I love the shade of orange of this crystal. I highly recommend purchasing crystals from Cindy. She is a reliable seller, and if there is a shipping issue (USPS), Cindy will stay on top of it. Very professional and friendly. Thanks again, Cindy!